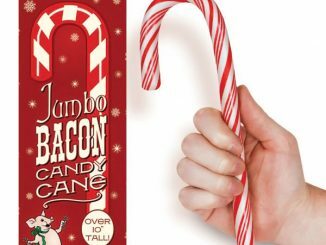 While maybe not as tasty as Bacon Candy Canes or Bacon Lollipops, the Bacon Candy Necklace is still going to be a big hit with bacon fans. 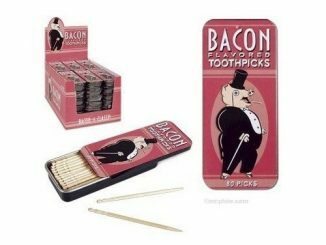 For all you ladies heading out on a bachelorette party night and looking for men to pay you a buck or two to bite some candy off your neck, this is the one that’s going to bring in the big bucks. 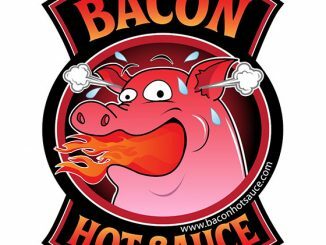 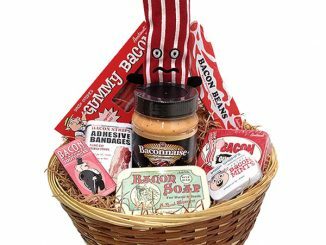 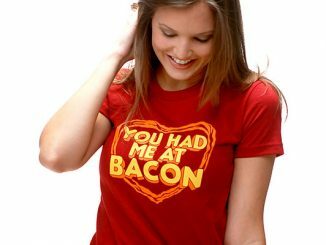 In case you didn’t know, guys love bacon and will do almost anything for that sweet-salty goodness. 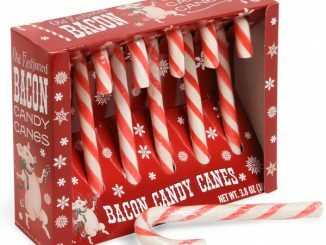 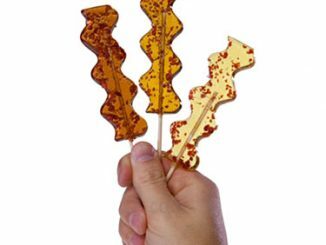 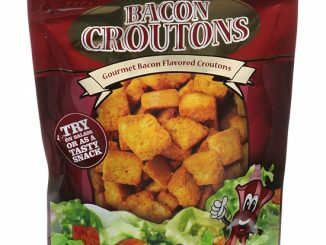 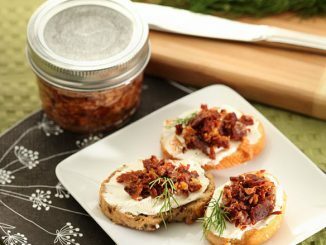 String of bacon-flavored candy – sweet and savory! 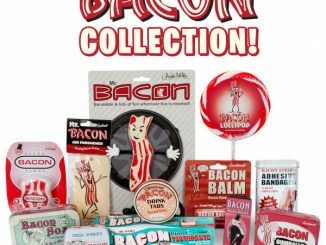 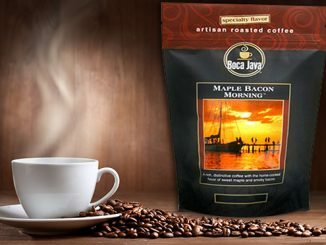 For the love of bacon, get yourself the Bacon Candy Necklace at the NeatoShop for $2.95 and from $2.97 at Amazon.com.